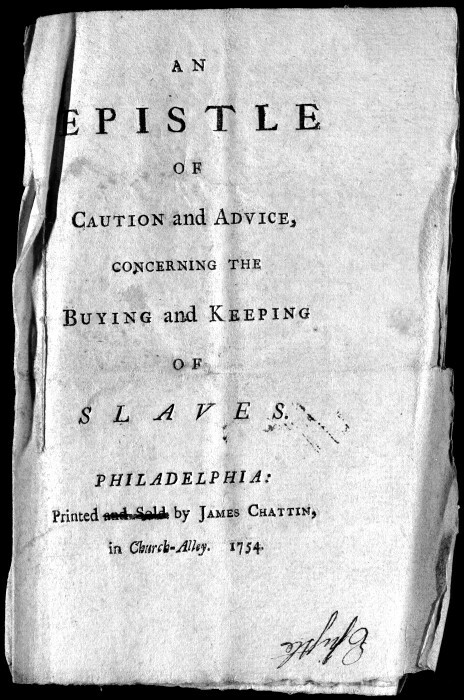 An Epistle of Caution and Advice, Concerning the Buying and Keeping of Slaves. 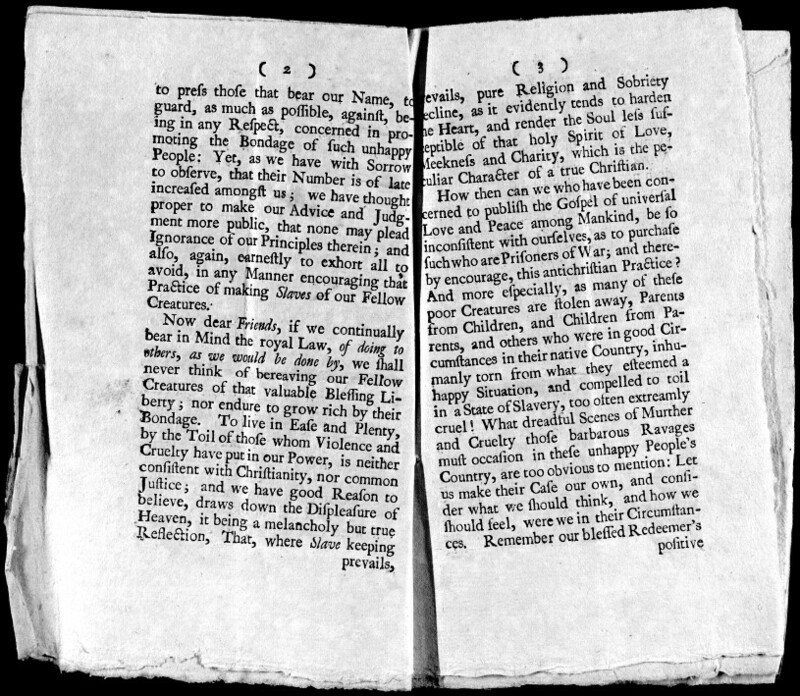 Philadelphia: Printed by James Chattin, in Church-Alley. 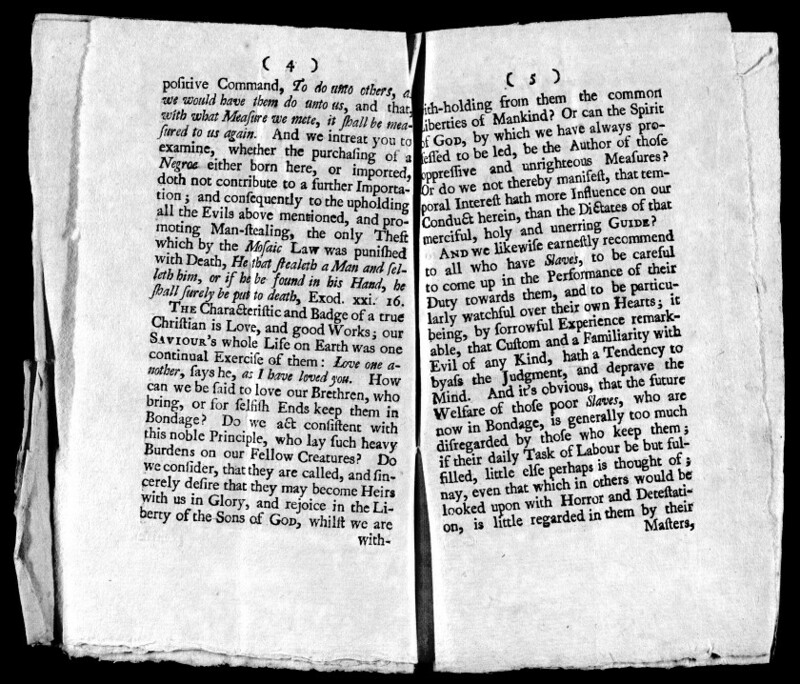 1754. 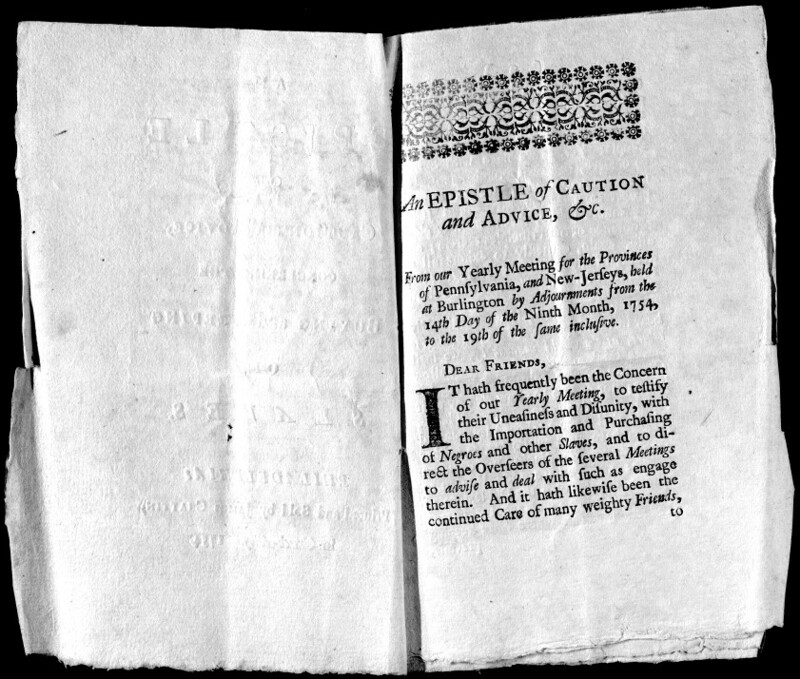 This pamphlet was found in a collection of documents once stored in the attic of Buckingham Friends Meeting. 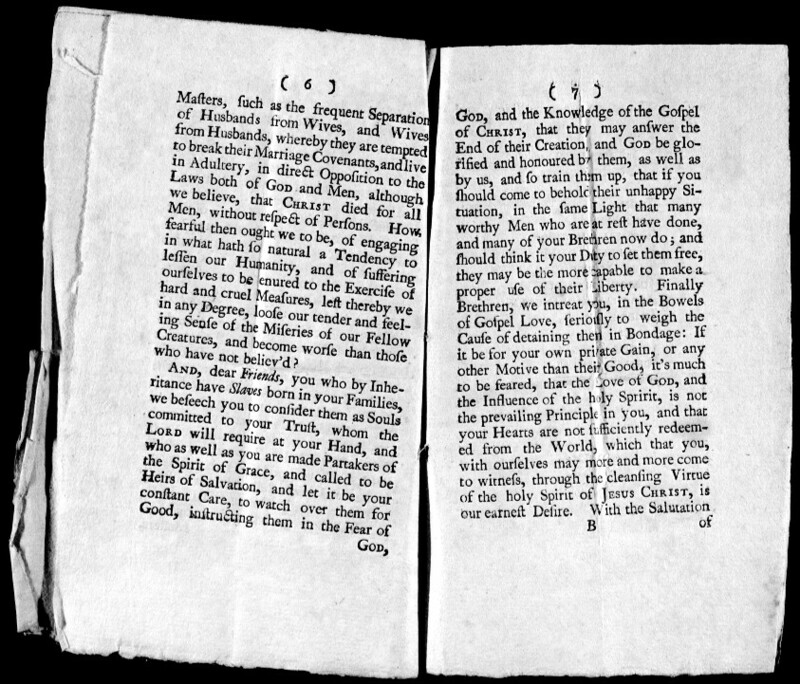 The collection contained items from Buckingham and Middletown Monthly Meeting, and this epistle was originally sent from Philadelphia Yearly Meeting to either Buckingham or Middletown Friends. 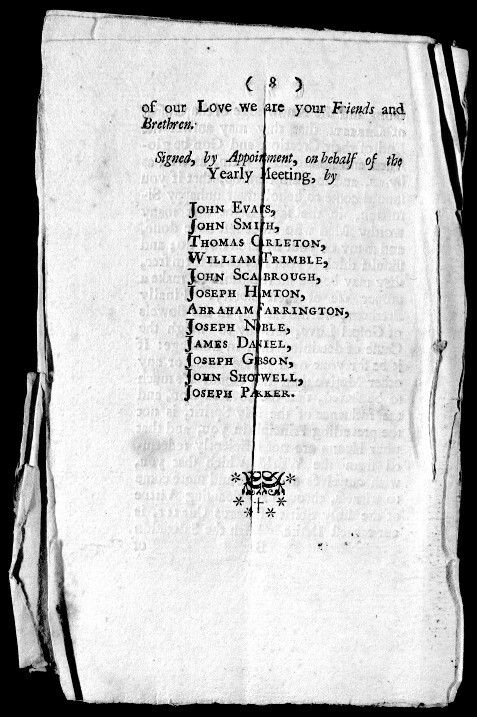 The entire collection was deposited in the archive of the Friends Historical Library at Swarthmore College.